Stephen A. Fuchs | Littler Mendelson P.C. 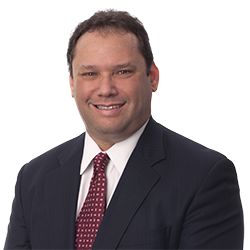 Stephen A. Fuchs has over 20 years of experience representing management in labor, employment and employee benefits law. With a focus on employment law litigation and counseling, he represents employers throughout the country in federal and state courts and before various administrative tribunals such as the Equal Employment Opportunity Commission, the New York State Division of Human Rights, the New York State Workers' Compensation Board, the New York State Department of Labor and the New York City Commission on Human Rights. He also provides preventive counseling and presents seminars to employers on compliance with federal and state laws governing employment discrimination, wrongful termination, reasonable accommodations for disabled employees, and family leave. The New York Paid Family Leave Law: Is Your Company Ready?